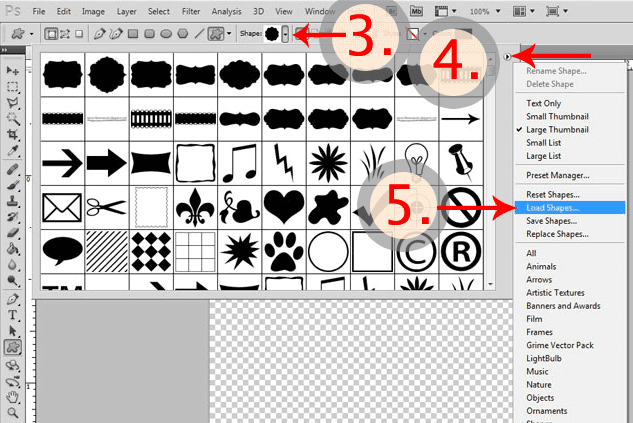 Depending on your operating system the path where your default Photo Shop custom shapes may differ. Please keep in mind that you don’t have to install your presets in this directory (folder). PS just defaults to it by nature, but will remember the path you browse to when loading resources from within PS. 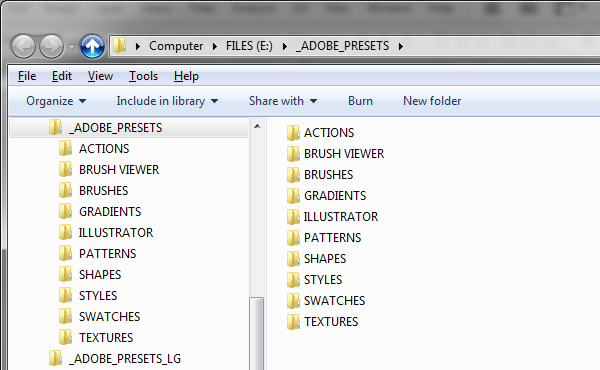 C:Program Files (x86)AdobeAdobe Photoshop CS(version)PresetsCustom Shapes. The (x86) part of the path is for computers running 64 bit architecture, as there are two program files directories. I choose that folder in windows even with 64 bit because it’s more stable. XP users can just go to C:Program FilesAdobeAdobe Photoshop You will have to tell your computer to show hidden files when you browse your presets directories (folders). I don’t have the path offhand for the file structure on a mac. An easier way to store your presets is to create a directory (folder) where you will be able to find them faster and remember where they are. I actually have a partition on my hard drive containing just digital resources. Anywhere you think you will be able to keep good track of your files find them easily, and organize them well will be a good spot! 5. Select “Load Shapes” from the contextual menu that appears. 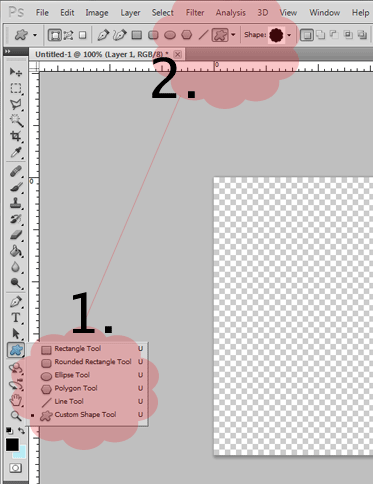 Hopefully this will clarify things for those who were having trouble figuring out how to install Photoshop shapes! These are all very helpful tutorials, thank you! Another hit out of the ballpark! As always my friend! Thank you for sharing my PSE tutorial with your readers! I appreciate it! Lovely 🙂 … Do you know if these are compatible with Photoshop 7.0? Di I'm not sure. From what I understand there were quite a few changes from PS 7.0 to the CS versions. Sorry I don't know the answer to this question offhand.